**See author's note on adult content below. ** From the dark depths of the past, comes the tale of the first wizard of Illeniel. Daniel Tennick lived simply, a young shepherd with few troubles and little to occupy his mind, until the warden appeared. Daniel's power awakens, and he finds himself hunted by the servants of the cruel and uncaring forest gods. 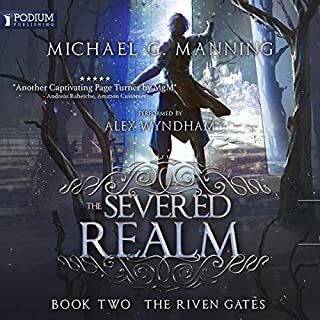 Trapped by his gift, Daniel will uncover the secrets of the deep woods and those who live there, a civilization created from the grave of an older one. Dark and heart wrenching beautiful. A great tale that can stand on its own. 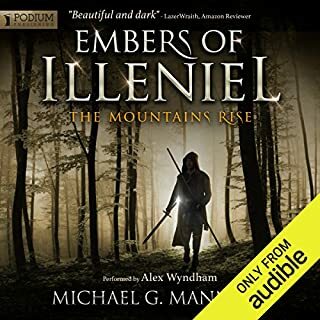 The story of the first Illeniel wizard continues. Tyrion's life among the She'Har had become quiet, but the sins of his youth have returned to haunt him. 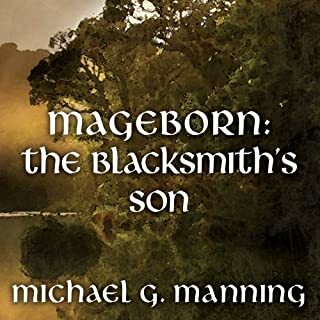 The Mordan wardens have discovered one of his children, and the other groves are racing to find and claim the rest of his illegitimate offspring. Unable to stand by and watch as his children are used as pawns against one another, Tyrion makes a hard choice, one that will set him against everyone and everything he cares for. Others' love made his children strong, but his hate will make them powerful. dark, tragic, but very good. the story is full of conflict start to finish and can be a serious jumble of feelings. one criticism would be that the dialog is rather abrupt leaving out much of the natural flow you see in thought and speech as though facts are being presented without the experience. good action with detailed imagery in a good way. I really enjoyed this book and am looking forward to the next, as the children are. If you could sum up The Silent Tempest in three words, what would they be? What was one of the most memorable moments of The Silent Tempest? Being that this is the second book, watching Daniel evolve as a character, and also seeing the secrets unfold is gripping. What about Alex Wyndham’s performance did you like? I think he does a very good job, he stops, pauses, and waits in the perfect moments, he does a good job at changing his voice for each character, as much as man can for a woman's voice. I felt an extreme amount of despair that controlled me at different points. It never affected my mood per se, as in I was never mean or angry at anyone or something extreme, but I was more quiet a reflective as the story took a grip on my thoughts and mind. Wherein Book 1 one could give Tyrion somewhat of a pass on his sexual over-indulgences and random acts of violence as that of a young adolescent being twisted by an older woman's cruel seductions, Book 2 pretty much blows away any pretense of Tyrion being a pitiable tortured soul. Yes, he has endured inhuman sadistic torture at the hands of the dispassionate and heartless She-Har but then he goes about inflicting similar cruelties on his teenage off-spring under the guise of the need to harden them into sadistic mages in his image in order to save them. Then, if that wasn't bad enough, he then has his way with 2 other women (one of which is the wife of his childhood best friend) and, given his god-like fecundity, they both become impregnated with nary a concern about these children's well-being being raised as slaves in a slave camp. loved the whole story. Great characters i can only hope that there is more to come. 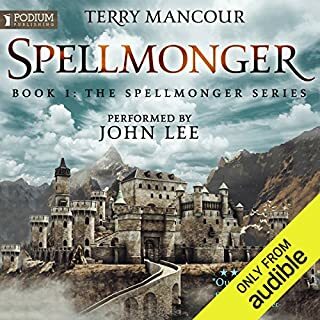 Every one of the stories in this connected series is very well written and I have enjoyed them so much! This type of story wasnt even a genre I was into until now! it was better than book 1 and couldn't finish book 3, the main character was crazy and barely got through a couple chapters of book 3. 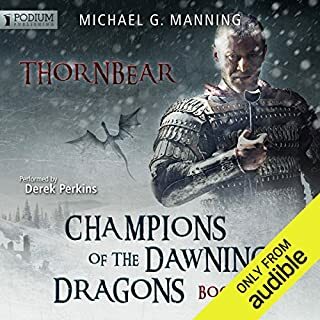 Now we're really starting to see in greater depth just why Manning felt the need to warn that this series was indeed a dark story in so many ways. Tyrion's twin ascent to power and descent towards madness continues but now there is much more at stake as he draws in other innocents. He writes some particularly powerful scenes at times and despite Tyrion's undoubted willingness to embrace what can fairly be described as unspeakable acts the humanity in him within his predicament shines through in both its darkest and lightest forms. This is an excellent tale of what happens when a relative innocent has the harshest of choices thrust upon him and it is handled masterfully. The juxtaposition of seeming alien indifference with tortured humanity make for a great intensity. Alex Wyndham delivers it like a thoroughbred and I'm going straight on to the next book. There's no better sign of a good series than when you want to do that! I put off getting this book for a while because of some reviews I read and worried it would fall into the poor sequel trap. It doesn’t. Things just get even more interesting and dark at times. Listened to it all in 3 days and I will be getting the third. I love these books so much! I just dont want them to ever end! So many things to think about, I have many questions too which I'm sure will be answered in the next book which I am now about to start! 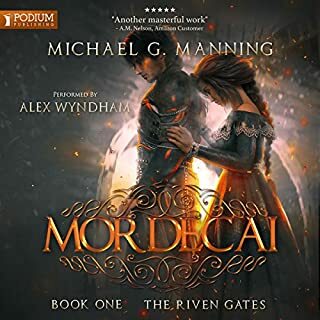 can't wait to listen to book 3. some of the children mages are becoming increasingly important to the story. This book fell into the classic trap of sequel disease. It felt as if the author, having given so much to the first book, struggled to maintain the same (high) quality. There were too many contrived situations, too much gratuitous language and scenes which lent nothing really to the story, and too much wilful blindness from a lead character we had been led to believe was so talented, highly intelligent and had been through so much. The contradiction was stark. Whilst I enjoyed much of what was on offer, I felt this effort lacked the strength, depth and "natural flow" of the first book in the series. Loved it. A little boring the battles some time but otherwise really catchy. Strongly recommend it. Started slow. Became really good. Want more! These additional words are a meaningless Audible requirement. Done. 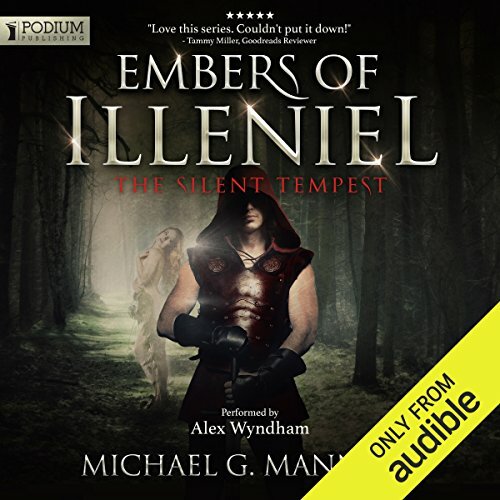 What made the experience of listening to The Silent Tempest the most enjoyable? Great sequel, picks up from previous book. See it as 1 whole book from last book an this book. Style and story flow havent changed.